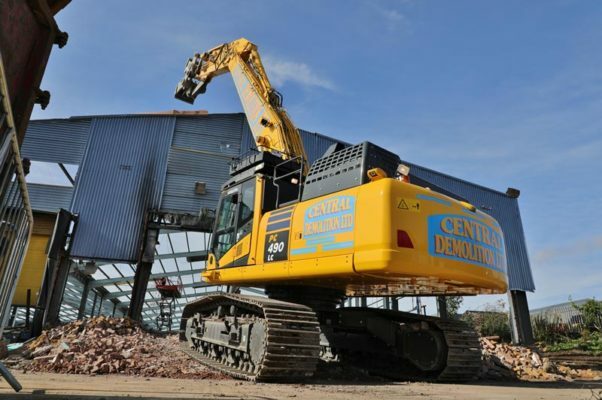 Central Demolition Limited were awarded the contract for the demolition of the former Hoover factory in Cambuslang, consisting of multiple structures spread across a large site. 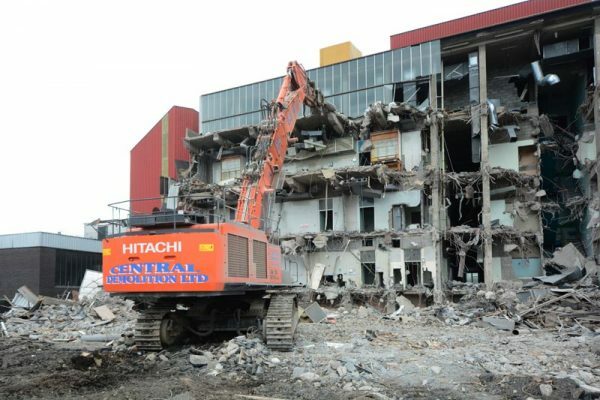 This project involved the demolition of a 3 storey concrete framed office block, 2no large production factory structures approx. 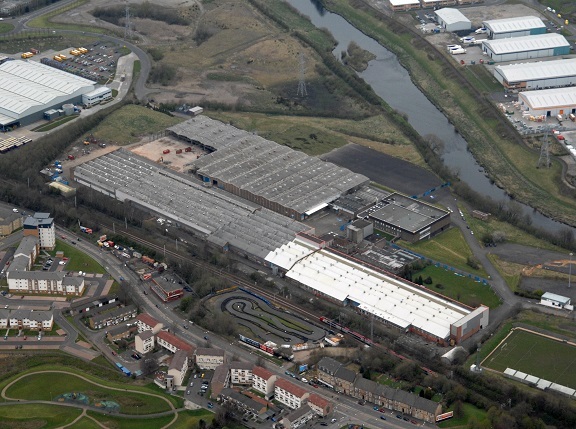 15,000m² in size, and various other smaller steel structures; all part of the former Hoover factory site in Cambuslang. 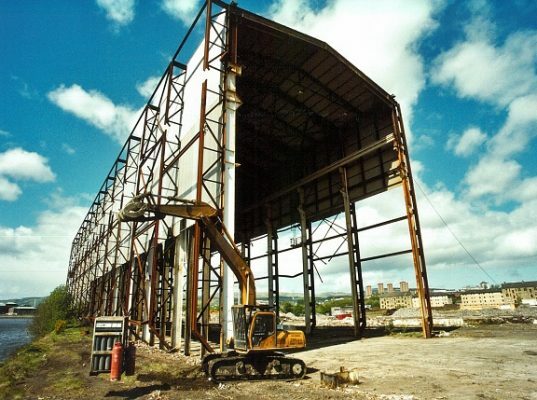 A major asbestos removal operation was required within the structures prior to any demolition works commencing. 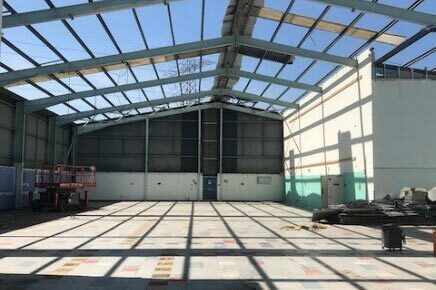 Extensive asbestos was present across the different structures, with the steel framed production factory structures alone being asbestos clad. 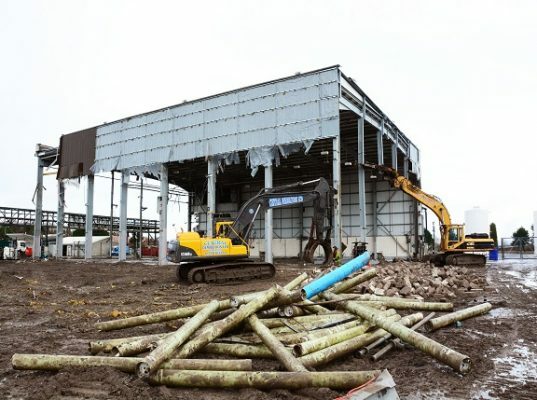 There was 5,000m² of asbestos insulation board (AIB) and a massive 30,000m² of asbestos cement to be removed by our experienced asbestos team. There were also large underground service tunnels at the site, and a vast environmental clean was required. 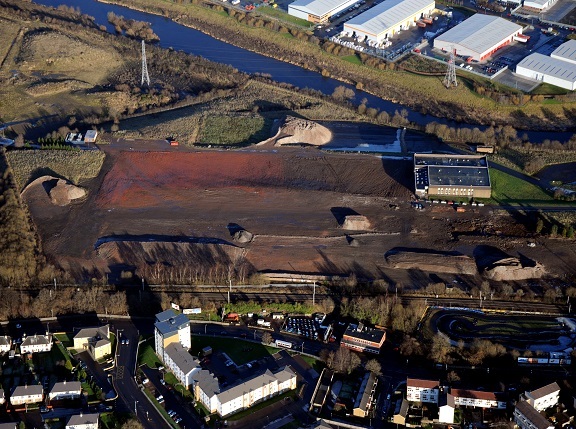 Due to the site being adjacent to a live railway line, we were required to undertake extensive planning and have detailed discussions with Network Rail. We had to work closely with them to ensure that there was no disruption to their operations, no damage caused to their infrastructure – and to make sure we met their standards. 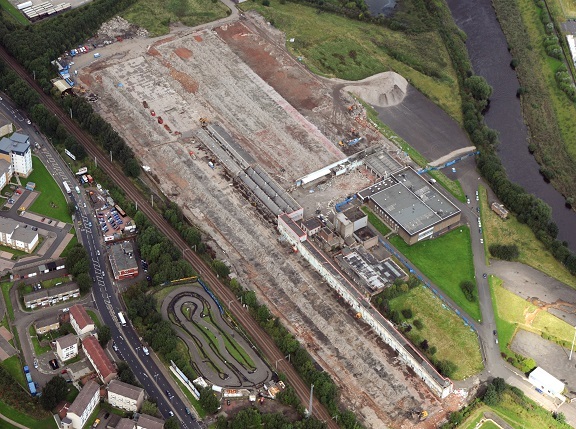 The demolition of the former factory buildings took time due to the vast size of the site. Once all structures had been safely demolished, we broke out the concrete ground slabs and foundations. As part of our recycling activity, on-site crushing of materials took place. 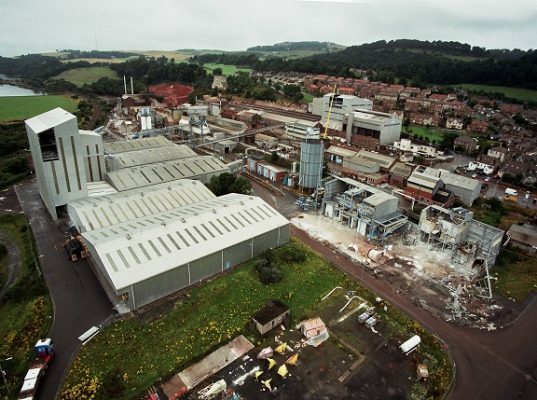 We crushed 30,000tons of concrete to 6F2 specification and also processed 14,000tons of scrap metal. 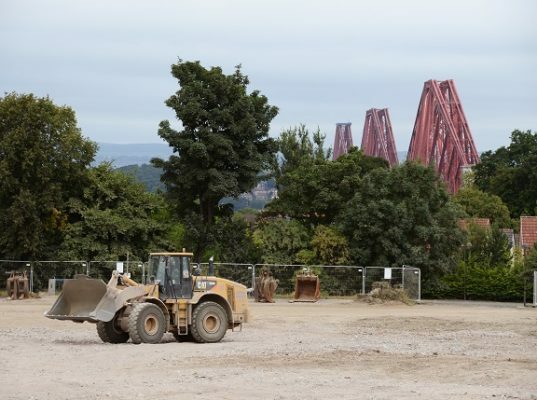 Following the demolition of the structures, a ground re-modelling operation took place to create a platformed site. This was created using excavated materials and the excess crushed material arising from the demolition. 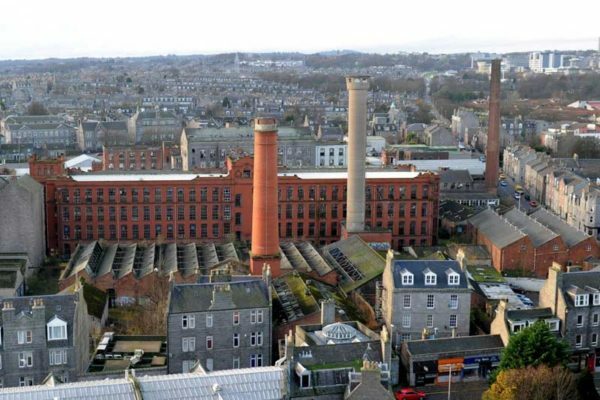 These works allowed for future redevelopment of the site. This project was completed successfully and to the satisfaction of our clients. The programme had scheduled for works to be undertaken over a 20 week period, but we managed to complete the works within 18 weeks – without compromising on safety or quality.